p.s. -- your post on John Mayer (crapweasel) was so great. He's on my most hated list and his dumb apartment will keep him there for good. ok kris...first of all thank you and secondly i think if you are leaning toward lime green you must like it so go with it!! 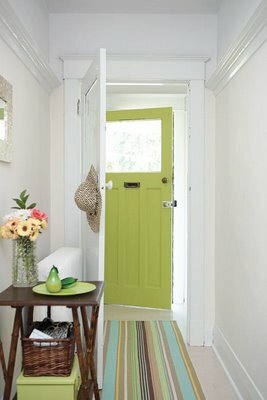 i think lime green can be a neutral or that bright pop of color a room needs, depending how you work it. 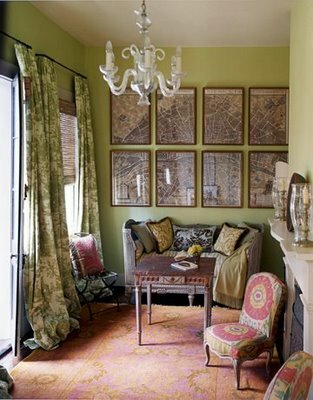 this image's green seems a bright olive, pretty with the chocolatey browns and muted pinks and golds. 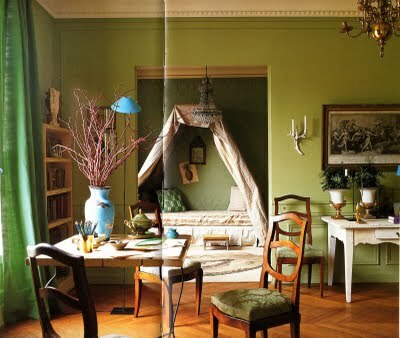 this green room keeps the green alive in the curtains and chair fabric as well, all different hues which works well. the wood tones and creamy white keep it earthy and calm and not too serious. and those little turquoise moments liven it up. while i am not a fan of the black and white fabric parade on the wall (what is that a mood board? ), i do love the green with the soft gray blue daybed and the black and white striped rug. the woven chair and basket all help to warm it up. if you are not ready to commit to green walls, this should help you see how a little bit of green can make a wonderful impact. and notice how crisp it all looks. the white walls, striped cotton rug, dark wood. all of these colors are refreshing, clean and modern and still warm and friendly. i chose this next image b/c i guess i wanted to show you how many different ways you could go with green and still make it work. 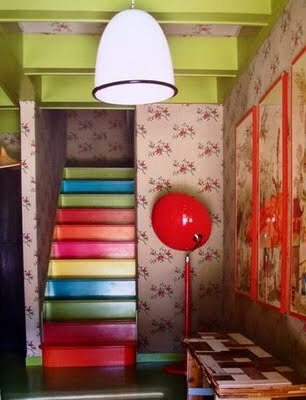 this is a bit less extreme than the last one but still uses a lot of different bright colors to create a fun and inviting space. the crisp whites and natural rug ground it out. 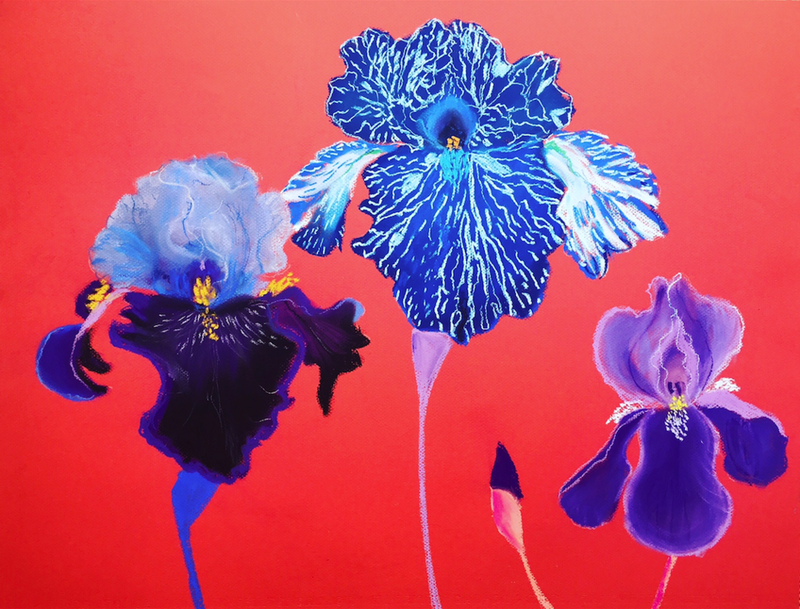 important if you are using bright colors. or you could go a milk chocolatey brown with white and lime accents. i do like this combination. it seems warm and cozy without being too boring. kris my darling i hope i have helped in some capacity. unfortunately i am terrible at committing to color in my own home. so i feel your pain. in fact my home is a mixture of whites, grays, black and wood tones. shock and horror!! i was gearing up for a post about the buffet i started to sand and paint this weekend. i couldn't decide on color!! so stay tuned for that one. now i leave it up to MFaMB readers to chime in if they have any advice to give.